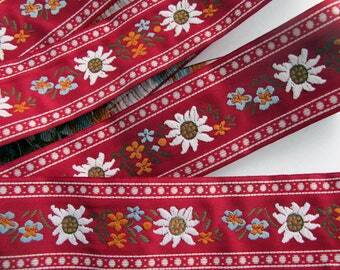 10 YARDS LOT EDELWEISS & ENZIAN Jacquard trim. 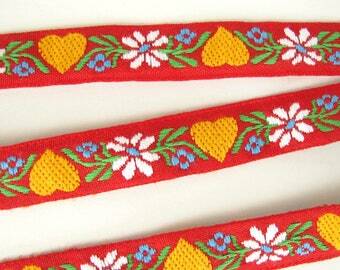 White, navy, pink, green, yellow on red. 1 inch wide. 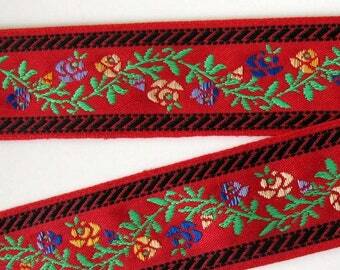 A great classic Tyrolean ribbon. 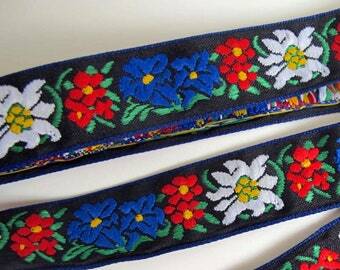 Bavarian dress trim. 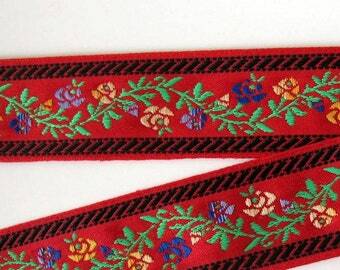 Offered here are 10 yards of a lovely Tyrolean pattern Jacquard ribbon. Very sweet. With WHITE edelweiss, NAVY BLUE and DEEP PINK flowers with GREEN foliage on a RED background. 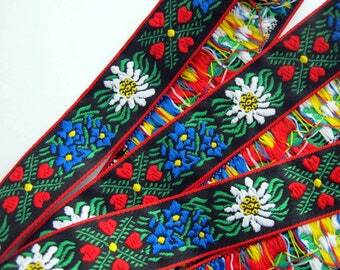 With finished woven edges.